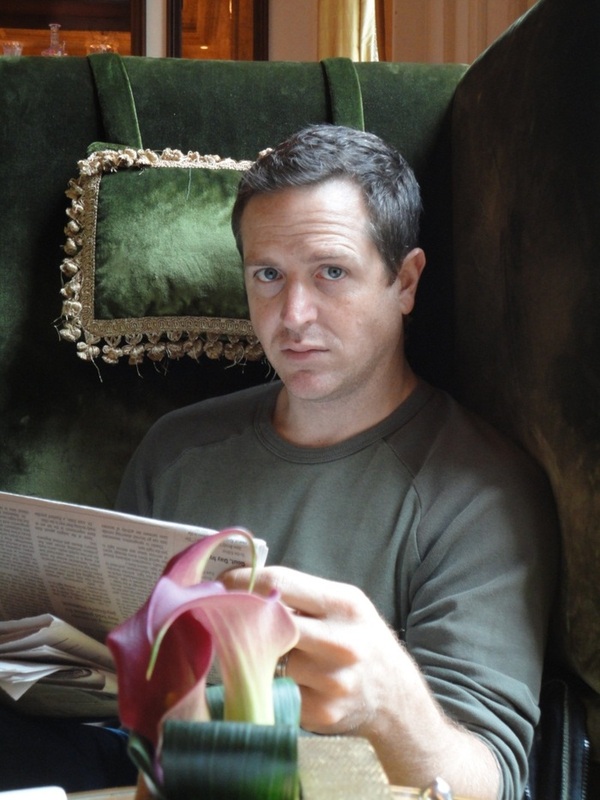 If you get your sci-fi book fix from Amazon.com then you probably know author Hugh Howey. It’s hard to miss someone whose books routinely camp out on the top 100 bestselling sci-fi/fantasy books on Amazon. At one point Howey’s books even took up six of the top ten slots on the list, alongside classics like Ender’s Game and Game of Thrones. 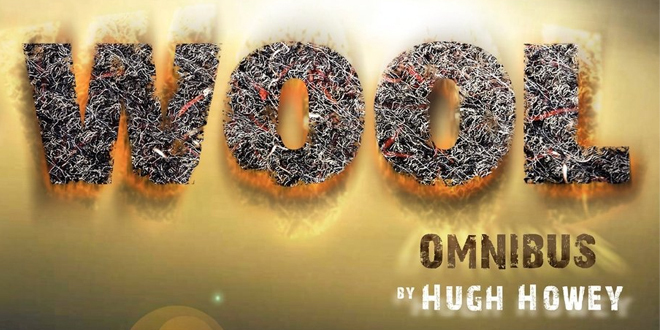 Howey’s most well known for the Wool series, which took off wildly in 2011, taking him from indie author to major publishing deal. He recently sold the film rights to Ridley Scott, director of Alien and Bladerunner. He was kind enough to take a little time out of his busy schedule to answer a few of my questions. Q: One aspect of your work that clearly stands out is your character development. In review after review on Amazon, readers point out your characters more than almost any other trait of your books. What do you think it is that makes readers connect so deeply with the people in your stories? What have you learned about character development that many other authors seem to miss, particularly sci-fi authors? A: I don’t know what works well with my characters. I try to use an equal mix of dialogue and reflection to build out a character. I think one thing we can overlook as authors is that our characters have families, occupations, and pockets full of things. They often feel naked and friendless to me. They don’t carry anything with them. They are just used to move along the plot. I work very hard to avoid these traps, however tempting they can be. Q: Many articles have talked about you as if you were an overnight success, which seems a little unfair, considering you wrote a number of books before Wool. Can you talk a little bit about some of the challenges you’ve faced as you worked at becoming a full-time author? A: My biggest challenge was to write every day. It required getting up early in the morning to write before work, sitting in a conference room on my lunch break and writing for an hour straight, and generally staying indoors when it was gorgeous outside. You have to really love what you are doing or have a strong will to stick with this for years with no sign of it ever leading to a career. I had to write and consider myself a writer. I had to endure a lot of eye-rolling and people avoiding my table at book signings. It really helps to have family members and a spouse who believe in you and enjoy your work. Q: Something you said in your Wired interview stuck with me long after I read it. You recalled going to a writing conference and hearing a panelist say “You just write! You stop dreaming of writing. You stop talking about writing. You stop wishing you were writing. And you write!” Tell us about the internal shift that happened at that moment. What changed about how your approached writing after that? A: The author was the mother half of the Charles Todd team. She shamed me. That’s what happened. She shamed the entire room of us, and it was the best thing that ever happened to me. I realized that the only thing preventing me from writing a novel was myself. I was getting in the way. Mrs. Todd slapped that person inside of me, knocked him down, and I stepped over his lifeless body and got to work. Q: There are some who argue that self-publishing just resulted in a glut of bad writing hitting the market. Donald Maass, one of the most well-known and respected sci-fi agents, said “Self-publishing is not a good idea. Sorry.” Do you think the self-publishing movement is good for readers and writers or is it somewhat of a mixed bag? A: I think it’s the best thing to happen to readers and writers since the proliferation of the printing press. Donald Maass must think the internet would be better if a board of editors okayed every website proposed. The proliferation of URLs does nothing to clog up the internet, just as the outpouring of books does nothing to hurt the publishing industry. More content means more chance of something new and interesting cropping up. All it takes is a single enterprising and adventurous reader to turn up the next gem. And these days, many books are self-published without first querying someone like Mr. Maass. We are doing quite fine without his services. Readers are as well. Q: If a writer is thinking about self-publishing, what are the most crucial steps for him or her to take? How can he or she avoid getting lumped in with some of the sloppier work that’s out there? A: Revise, revise, revise. And then edit, edit, edit. I do seven or eight full passes on my work before I’m satisfied. And then I send the draft to my wife, my mom, anyone who will read it. I take their feedback and do another couple of passes. I send the work to a half dozen beta readers, who look for mistakes in exchange for an early read and a free book. And then I do another set of passes, one for each beta reader. I put all my efforts into the writing, revising, and editing. I spend almost no time on my blurbs. I found success with my own cover art. I hit the bestseller lists before I started hiring out anything, so it can be done. It just requires patience and diligence. Q: Steven Pressfield wrote an excellent article analyzing the differences between the deal you made with a traditional publisher for e-pub rights to Wool and the deal EL James made for 50 Shades of Grey. Pressfield really framed it as if it were a watershed moment in publishing history in terms of economics and author empowerment. Did you have any idea of the importance of that decision at the time? Was it more a question of just being in the right place at the right time, or was there a larger strategy at work? A: I realized the importance to me at the time. I never wanted to sign away lifetime rights to my digital editions. The economics don’t make sense. In the past, books have had three or six months to sell. Now, they have decades. Centuries. Signing that away, watching your prices shoot up and rights never revert feels like putting a young and healthy horse out to pasture. You’d have to pay me far more than a book is worth to have me do that. As much as I admired Steven’s article, I think it sold Mrs. James short and gave me too much credit. The numbers relied on units sold. I don’t think Mrs. James would have sold that many books without Random House behind her. She was very smart to sign the deal she signed. I was dumb lucky to sign mine. I think we’re both happy with how things turned out. Q: Who were some of the authors who influenced you growing up, be they sci-fi or otherwise? What about their work did you connect with? A: The authors who influenced me the most are the ones who taught me about what it means to be human. Steven Pinker, Judith Rich Harris, Carl Sagan, Richard Dawkins. I grew as a writer when I dove into non fiction. My plot ideas and characterizations improved. Q: What’s your take on the singularity, an idea beloved by futurists like Ray Kurzwiel and lampooned by others like Doctorow as the “rapture of the nerds?” Where do you think mankind is headed, ultimately? Are we in for a massive disaster or do we reach the stars and evolve into supermen, a la the Culture in Iain M Banks novels? A: I don’t think it’ll ever happen. Science fiction authors and futurists are always overly optimistic. Take any date and double it. We spend too much of our time, money, and resources warring with one another to make the sort of progress we geeks would love to see. I think humanity will dwindle due to apathy more than collapse from disaster. Fears of a population explosion are overblown. We have a population collapse looming, as more and more people choose to have fewer and fewer children. The UN population report has us topping out and then going into a major decline. The greatest hurdle humanity will face will be a future of such opulence and leisure that nobody wants to grow up, nobody has more than two children, many don’t have kids at all, and crumbling cities sit empty and begin to rot. I think this will take thousands of years, however, and much of what we see will appear like progress over this time. Our ethics will improve and expand. Our lives will get better and better. There will just be fewer people around to enjoy it all.